Welcome to the world that inspired it all. We all know that Dungeons & Dragons took some serious cues from J.R.R. Tolkien’s world. Of course, the two settings deviated along the way, but now you can send your D&D campaign back to Middle-Earth. 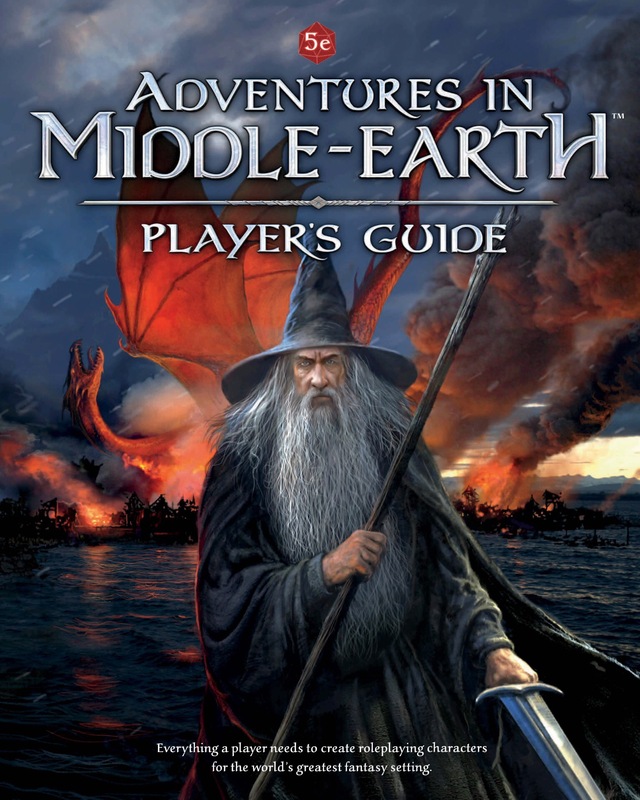 The Adventures in Middle Earth Player’s Guide gives you all the rules you’ll need to make a truly Tolkien-esque set of characters and adventures. The book, released by Cubicle 7 and compatible with D&D’s 5th edition, isn’t simply a book of LOTR-inspired character options. This book sets your adventures in Middle-Earth after the conclusion of The Hobbit and during the War of the Ring. And because of that, there’s a slightly different approach here than in standard 5th edition D&D games. And the folks at Cubicle 7 absolutely nailed the setting. In order to do so, they changed up some basics of D&D 5e including classes and races. Instead of races, you get “cultures.” One culture – say the Beornings who follow the skin-changing Beorn – could actually include multiple races but it’s the place they live and work in Middle-Earth that determines their attributes. Cultures in the book includie Hobbits of the Shire, Riders of Rohan, Men of Bree, Dunedain and Elves of Mirkwood. Even the different types of men are quite different from each other. For classes, you get a somewhat standard array of choices, but each has a Middle-Earth flair. Scholar is like a cleric, Slayer like barbarian, Treasure Hunter like rogue, Wanderer like ranger, Warden like wizard and Warrior like fighter. And though the similarities to the base D&D classes exist, they have their own Middle-Earth flair. Wanderers are committed to hunting the servants of the Shadow, and the Slayer is sworn to take revenge upon the Enemy for the injustices inflicted upon his people. Even the class abilities are directed toward Middle-Earth and fighting against the Shadow, which is generally the idea behind each quest and adventure you’ll undertake in this setting. The book sets things five years after the defeat of Smaug and ranging up to the final battle depicted in The Lord of the Rings. Adventurers will travel the land, uncover secrets and battle the Shadow creeping back into the lands of the free people. Since most of Tolkien’s stories had to do with journeys, the setting encourages the Loremaster (this setting’s version of the DM) to set up quests that push players out the door and down the road. You can certainly introduce more battles, but this being Middle-Earth, things seem decidedly tipped toward roleplaying. There’s such an emphasis on roleplaying, there’s an entire chapter on audiences, a set of rules that enable characters to meet with the kings, queens and great beings of Middle-Earth. Another unique addition to the 5e ruleset is the corruption system. In place of alignment, corruption by the Shadow itself determines just what kind of character you’ll be playing. There are sources and consequences of corruption, and there are rules for what happens when you, like Saruman, succumb to the Shadow. Also part of the book is the fellowship phase, the portion of every Middle-Earth adventure when the heroes return home for a time to rest or write a book of their adventures. There’s also a chapter on journeys, another on Middle-Earth-specific equipment and back-to-back chapters on virtues (kind of like feats) and backgrounds (just like in standard 5e). In all, it’s a fantastic book. If you’re looking to set your adventures in the world of Hobbits, Men, Dwarves, Elves and Sauron himself, this is your book. Of course, it relies on the 5th edition rules, and you’ll need the core rulebooks to use this one, but if your D&D adventures just haven’t been Tolkien enough, go out and get this one now.